Structural and container fumigation experts serving Indiana, Kentucky, Illinois, Ohio, Tennessee, Michigan, Missouri, and Minnesota. When it comes to performing efficient and reliable fumigation services, Action Pest Control has a tailored solution to meet your needs. Our experienced technicians are skilled in providing structural and container fumigations of all kinds, including container lumber fumigation. Our dedicated fumigation team is committed to providing effective fumigations throughout Indiana, Kentucky, Illinois, Ohio, Tennessee, Michigan, Missouri, and Minnesota while ensuring minimal risk and liability for our clients. Action Pest Control is recognized as a leader in the pest management industry for performing some of the nation's largest structural fumigations. 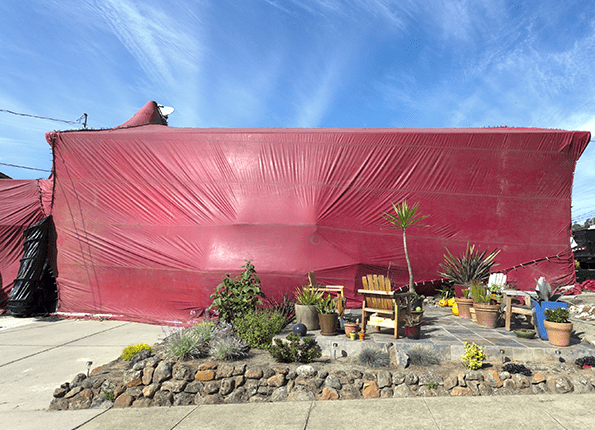 However, fumigation can be an excellent choice for many kinds of structures, including single-family homes. Fumigation is effective in controlling many pests, particularly stored product pests, like Indian meal moths and grain or flour beetles as well as rodents, bed bugs, and spiders. The fumigation professionals at Action Pest Control will prescribe the most appropriate treatment based on each property's unique pest situation. Action utilizes sulfuryl fluoride for the fumigation of post-harvest products, like wheat, corn, and soybeans, as well as in other types of facilities. Depending on the type of property, pest pressures and contents being treated, your fumigation consultant will partner with you to ensure you're receiving effective results you can count on. For a free fumigation consultation, contact Action Pest Control today!